It has been 10 years since the first Ultimate Ninja game was released. Since then the Naruto series took the world by storm and all that has brought us to Naruto Shippuden: Ultimate Ninja Storm 3, a game that feels like a culmination of 10 years of gaming, 11 years of anime and 16 years of manga. It can’t get more definitive then this. Naruto Shippuden: Ultimate Ninja Storm 3 is the ribbon on top of what has been an all in all brilliant fighting game series. 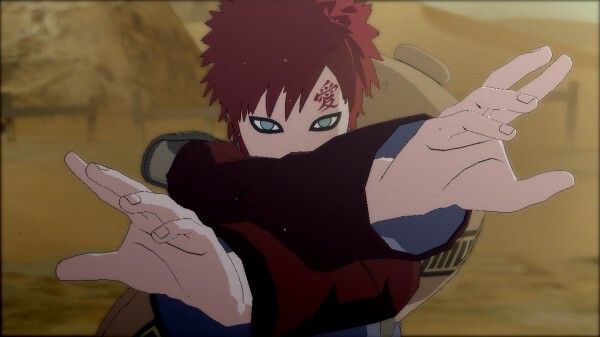 It is hard not to feel that for the Ninja Storm series this is CyberConnect2’s ultimate jutsu. 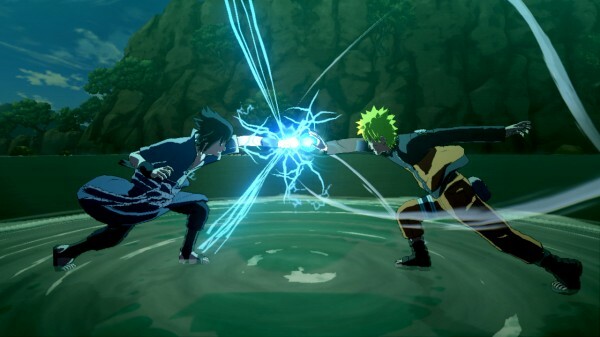 Naruto Shippuden: Ultimate Ninja Storm 3 adapts later parts of the Naruto Shippuden series, focusing primarily on the Five Kage Summit Arc, Birth of Naruto Arc and the long awaited 4th Great Ninja War. Fans of the Naruto series would know that these arcs in particular contain some of the most interesting stories in the long-running series. 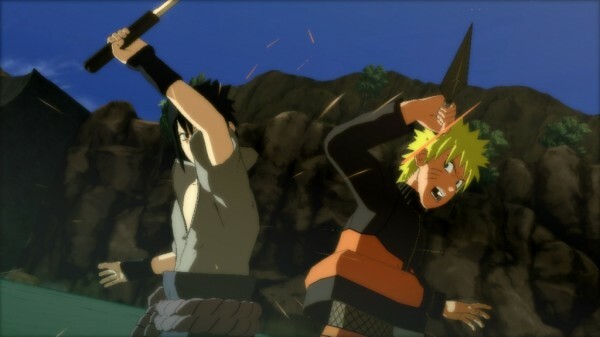 The game follows multiple characters from a variety of different viewpoints with the majority of the game revolving around titular protagonist Naruto Uzumaki. Despite the fact that the game drops players in at the end of the overall plot of Naruto Shippuden, it does an admirable job at giving them a good understanding of who’s who and the situation at hand. 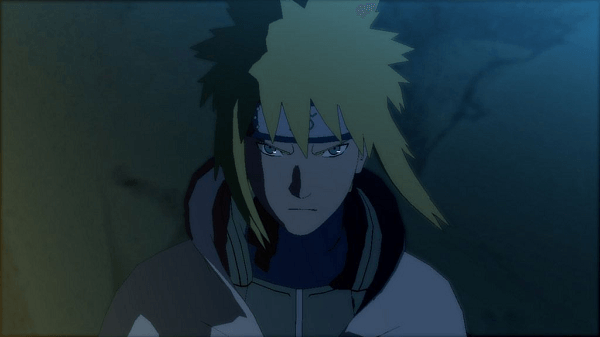 Much of the backstory comes in the way of flashbacks (a stable of the Naruto series) and works to give players that are new to the series an idea of the story thus far. It must be said however that much like an RPG game the story scenes between battles are often quite long, some even weighing in at nearly as long as an episode of Naruto itself. This is of course not too great an issue as it can be skipped. It may feel a little drawn out however if you want to get the best of both worlds in terms of story and combat. Ultimate Ninja Storm 3 does do something interesting in terms of it’s Story Mode though. At certain pivotal moments the game gives the player to choose two different paths (often to do something alone or with the help of others) which does affect the story in some ways. While these ‘Ultimate Decision’ portions are more superficial than anything and usually only exist to provide greater or less difficulty to the gameplay they are a nice addition to the story that give a sense that your choices do matter although in the long run they don’t really hold any significant bearing on events. The story overall is quite well done and some of the more emotional moments (Naruto’s parents sacrifice) are truly touching. It carries the spirit of the anime and manga to perfection and is truly engaging throughout. This is where Naruto Shippuden: Ultimate Ninja Storm 3 truly shines. What CyberConnect2 have done here is polish the existing formula to damn near perfection. With the introduction of a number of new gameplay elements the overall experience has been greatly enhanced and made far more intuitive and stream-lined. The main fighting sections can be played in every mode of the game and is the part of the game that many would know it for. With a large array of characters to choose from, there is an incredible amount of variety to the gameplay as nearly all characters excluding other versions of a character are entirely unique. Each has their own abilities, style of combat and movement. It makes for what some intense, fast and often unpredictable battles. In terms of character variation this does cause some balancing issues. For example characters such as Kiba and Kankuro are almost never at a disadvantage and are capable of pulling off a near infinite string of combos that will leave little opening for attacks or substitution dodge. There are ways to combat such characters but they are definitely more powerful than they should be. A new introduction to the combat mechanics is the ability to get a ‘ring out’ victory. While this is not an easy means of victory, it can happen often accidentally. Some stages have invisible walls that can be smashed in order to send your enemy out of the arena for a victory. It doesn’t add a lot to the already polished gameplay but it is still nice to have another way to win a fight. The Free Battle mode which is essentially your standard combat mode, has a number of options available in terms of customization for what type of battle you’d like to have. You can play simply against computer players, local multiplayer or even simulate a computer vs computer match. There is also the ability to hold a fighting tournament with a selection of characters. Much like the Free Battle mode, the game’s Online Battle mode largely revolves around standard combat but of course with other players online. You can play in ranked match or player match and accumulate experience points and level up as well as customize your player card. Besides those two modes there is the Ultimate Adventure story mode which is really the centerpiece of this jam-packed game. The Ultimate Adventure weighs in at an impressive 20 hours. You take on the role of a number of different characters including: Naruto, Sakura, Sasuke and even Might Guy just to name a few. As you play through you unlock more characters to use in other gameplay modes and earn ‘ryo’ which is the points system used across all three modes (earning certain amounts of ryo can also unlock characters). 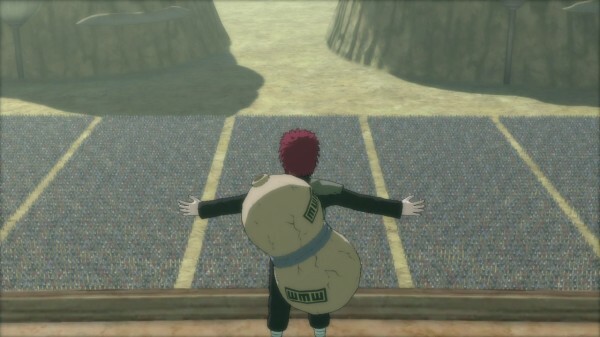 While the story mode largely comprises of extensive story sections and adventure portions (throughout Hidden Leaf Village or other locales) there is also Dynasty Warriors-esque fighting portions of the game that pit you against a number of enemies as you go from one point to another with a major fights even appearing within these sections. The Ultimate Adventure does feature an original ending to the 4th Ninja War arc which will surely be divisive among series fans but it serves as a nice capper to what is truly an incredible journey. Even after finishing the Ultimate Adventure mode and unlocking all the characters, the game has an incredible amount of longevity with its Free Battle and Online Battle modes. Both modes in and of themselves are incredibly enjoyable and provide a limitless level of playtime to Ultimate Ninja Storm 3. 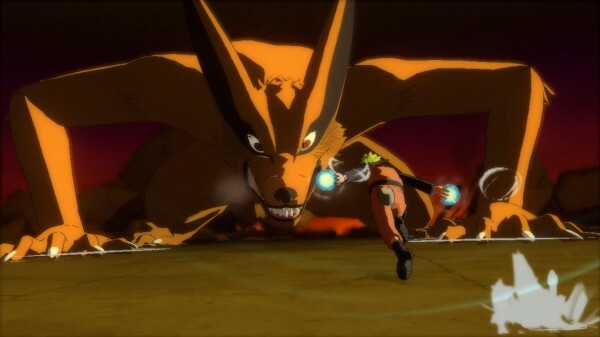 What really unifies all the different aspects of Naruto Shippuden: Ultimate Ninja Storm 3 is just how polished it is. This game is really the perfect Naruto game, it is hard to imagine how it can get better than this. It’s a wildly fun thrill-ride that does its source material justice. 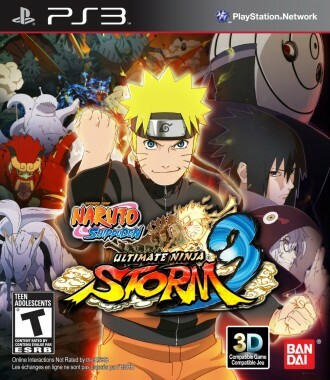 Aesthetically Naruto Shippuden: Ultimate Ninja Storm 3 is a visual beauty, with its cell-shaded graphics that share the feel and style of the anime series upon which it is based it is hard not to be absorbed into the world of ninjas. Each stage is well conceived and is gorgeously detailed and rich with character of its own. Characters are well designed and serve as excellent representations of their anime counterparts. The game also is notable for its great artistic style in its menus and loading screens which are a luscious array of colours and visual bombast. It makes surfing menus more enjoyable than you’d expect simply due to the admirable visual display. Ultimate Ninja Storm 3’s soundtrack is beautifully directed and composed, creating a stunning mix of energetic and ephemeral. There is a lot to soak in aurally with this game. There is also two audio dub tracks, one is the original Japanese and the other features Viz Media’s English dub cast. I played primarily with the English cast and found them to be well suited to their characters with some done superbly such as Brian Donovan’s performance as Rock Lee and Liam O’Brien as Gaara. 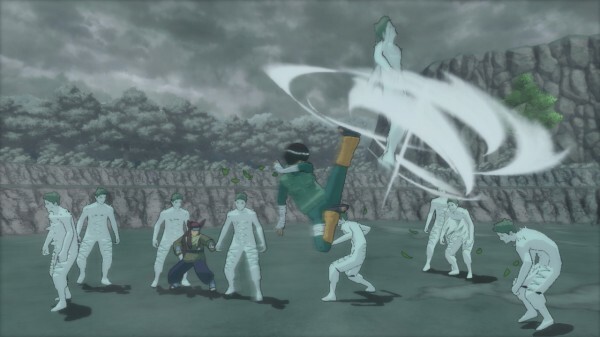 Without a doubt, this is the pinnacle of the Ultimate Ninja series. It could even be argued that this is the best Naruto game period. CyberConnect2 have clearly put their all into this game and have created what is ultimately an incredibly enjoyable fighting game at its core. Whether you are looking for a good Naruto game, an awesome fighting game or even just a great game in general, Naruto Shippuden: Ultimate Ninja Storm 3 will not disappoint. If you have yet to be taken by storm by Naruto this game will blow you away. It just doesn’t get any better than this – Believe it!